Morning morning and a very happy Saturday to you! We have another amazing sketch for you this week over at Sketch Saturday. 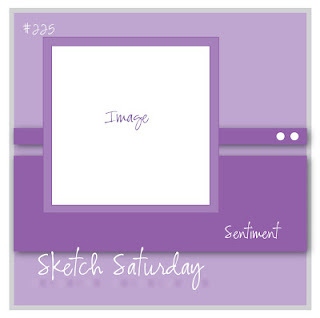 The Sketch Saturday sketches are always the perfect inspiration if you need a bit of a kick start! My DT entry is a card I made for my lovely little friend Eleanor who recently completely smashed her GCSE exam results with something ridiculous like 4 A*s, 6 As and a B - massive well done to Eleanor, she has done everyone around her so proud! I struggled to find an appropriate image and with no ink in my printer right now I couldn't turn to a digi, so I had a rummage and came up with this pile of books - there is actually supposed to be a Gorjuss Girl stood on top of them but she was a bit young for Eleanor so I carefully inked the stamp in the right places and then filled in the lines where necessary - fab result! and this sentiment was absolutely perfect too. Paper Crafting Journey - My sentiment exactly! Thanks for looking and make sure you pop on over to Sketch Saturday to join in the challenge this week which is sponsored by Bunny Zoe's Crafts and there is a prize on offer too!